OVER 100 extra Community Recovery staff are on the ground in Central Queensland today as the Queensland Government works to reduce the backlog of Cyclone Marcia assistance claims. In a statement to The Morning Bulletin last night, Communities Minister Shannon Fentiman said the State was doing their best to try and deliver as much assistance as possible. "We understand people's frustration at the speed and extent of the response and we are re-doubling our efforts and 105 extra Community Recovery staff arrived in Central Queensland today," Ms Fentiman said. "Red Cross, which is delivering the $200 food voucher, has flown in extra 30 staff in order to process applications as quickly as possible. "The food vouchers of $200 for individuals and up to $1000 per household are over and above the assistance that is already available." 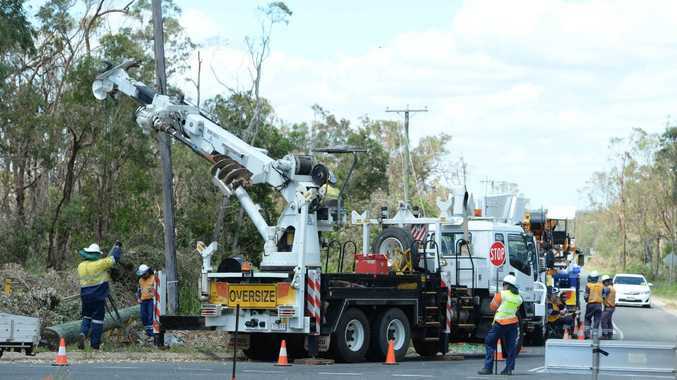 Frustration grew amongst Cyclone Marcia victims over the weekend as extra assistance for people who were without power for seven days or more was announced. Ms Fentiman assured those who were without power for less than seven days they were not being forgotten. "For those who lost power for less than seven days there is a range of assistance available including the Immediate Hardship Assistance Grant of $180 per person or up to $900 for a family of five or more and $100 food vouchers from Anglicare," she said. "As of this afternoon (2 March) almost 6000 people had received Hardship Assistance Grants totalling over $1million."